Google has another major event lined up for today, where the announcement of the Pixel 2, Google Home Mini, Pixelbook, and other devices will likely take place. It looks like more countries could get the chance to buy Google hardware (maybe including the upcoming products), because the Google Store is expanding to more nations. 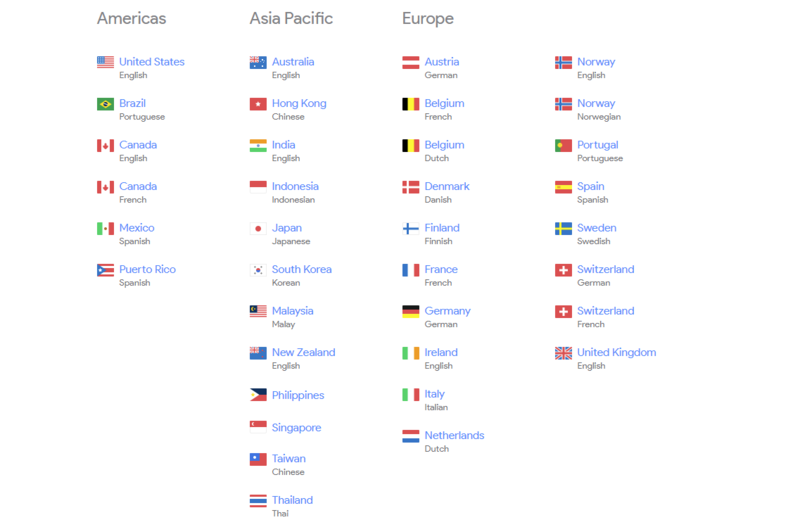 The Google Store now shows Mexico, Brazil, Indonesia, Malaysia, Philippines, and Thailand on the country picker. While the pages for the countries aren't live yet, I expect they will become available after today's product announcements. [Weekend Poll] Is Stylus Support Actually Worth Paying More For In An Android Tablet? [Rumor] Is the Samsung SGH-T879 T-Mobile's Galaxy Note?